Collage on paper, 120x89cm., Signed and dated on the back, bottom right. Thank you for submitting your item for appraisal. 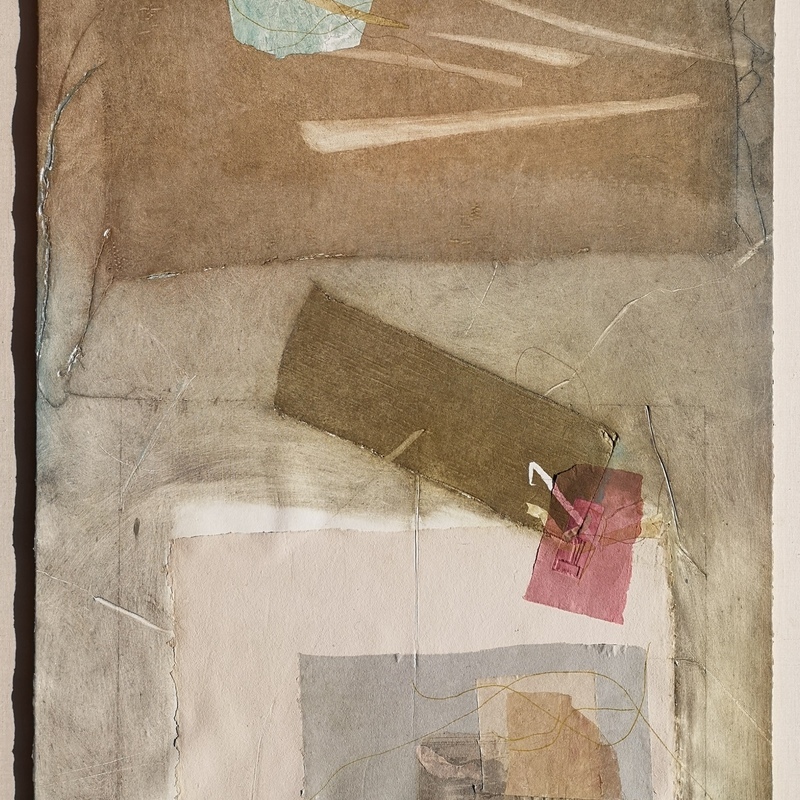 This appears to be a mixed media collage of various materials including a newspaper report, cloth and plaster, indistinctly signed by the artist ? Bannister (?) and dated 1982, possibly part of a serious of similar. I checked various combinations of this name and different spellings but can´t come up with a perfect match. The concept of collages was widely used in art schools in the 1980s, it is very likely that this is the work of an art student. The estimate is based on similar collages by lesser known artist offered or sold at auction.